I was a nurse for fifteen years before going to medical school. Basically, I went to nursing school to be a nurse, but when I finished I realized that I really loved medicine. I decided I wanted to further my education and pursue becoming a doctor. However, with life and everything that comes with it, it took some time to get there. So, I have quite a unique background. I was born in Toronto and stayed in and around the area until high school, when my parents moved us to Hamilton. I went to Mohawk College of Nursing (now Mohawk-McMaster) which was actually the last nursing diploma program left in North America. I graduated with a diploma in nursing, taught by nuns. The class after me was actually one of their last because of the merger with McMaster. What brought you to Trinity? I had applied in a previous cycle and didn't have any luck, and was on my second cycle. 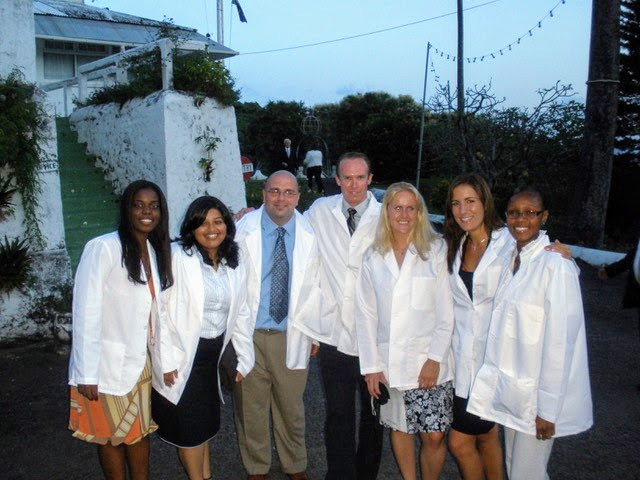 A friend went to Caribbean for their medical degree and said, "Hey look there, widen the search." We started looking and I found Trinity. What I really liked about Trinity was the small classes (which turned out to be as good as I'd hoped) more personal attention from the professors, and doing clinicals right out the bat. I didn’t want to lose my clinical skills I'd developed as a nurse, they can be "use it or lose it", so that was another really positive thing. I was accepted near the start of Trinity so I have to admit that, ten years ago, it was scary to start at a new school. There were a lot of unknowns, but I was student government president and the faculty and administration worked with us, so it turned out great. We started the AMSA chapter, we did a lot of good work with administration and for the students coming later. [ed. most of what Dr. Balogh and his colleagues built stands in place today as part of the school's social and administrative infrastructure!]. We’d go to the boys and girls school and give talks about asthma and allergies, we were involved in the World Pediatric Project and we worked the medical tent at motocross events on St. Vincent. We had a great chance to give back to the local community. There were tough times, it wasn’t all flowers and dandelions, any time you start something from scratch there’s good and bad, but Trinity graduates good doctors. I’m still in touch with some, and for the rest, we're all still aware of each other and happy for each others success through social media. 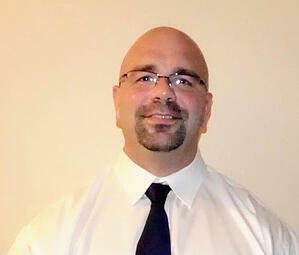 For example, my friend Lenny Genovese was a paramedic before he came to Trinity. He went on to become a chief resident at George Washington, he finished his chief year became an attending working with the NIH. Now, he's off to cardiology. Then there's Devon Charlton. He was a roommate of mine who now is the Program Director and a Rheumatologist at UPMC. What did you specialize in? Surgery originally. In my fourth year of general surgery residency, I decided to switch to anesthesia here at UTHSC-Houston and I'm almost done with that. Next, I’m doing critical care. I didn’t start out with a categorical surgery spot and I was actually the 5th ever IMG there. They gave me a prelim spot as a test run, I got 94% percentile on the ABSITE, actually got the ABSITE award, and I worked a lot. I operated as much as I could, volunteered for research, wrote papers. Even then I didn’t get a categorical spot after one year, they gave me another prelim for my second year. I finally got my categorical spot for my third year. So you can change people’s minds. It was a great feeling seeing them go, "Oh my God, that IMG is way better than our US kids." So a decade ago, I didn't just match from a brand new international school, I matched into a program with an old way of thinking, and showed them what Trinity students could do. How is life as an IMG in the US? It's all about hard work. I got into two very competitive programs post-grad all on my own merit, and I'm very proud of that. 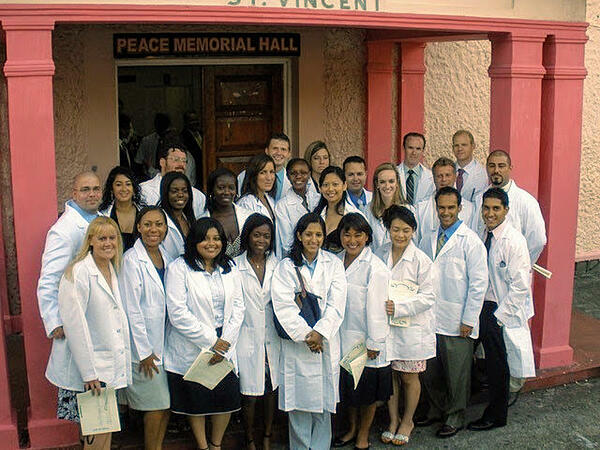 I also have to say, you know, ten years later, when you take a step back and look at pictures at who was there at Trinity, I keep thinking, “How did half these people not get into a medical school in the US?”. Everyone had their story. At Trinity, our education wasn’t any different than any US school. The uphill battle coming back as part of that charter class bred a special maturity in us as candidates that American candidates lacked (and is getting worse among US students, in my opinion). For people who go from grade school to high school to college to medical school with limited work experience, sure they work hard, but they never have to adapt and as a result lack an important kind of grit you need to succeed. By second or third year of residency, you should be so good that your school doesn’t matter. The older schools in the Caribbean created a stigma, you as a student have to shed it and get ahead by being undeniably good. Trinity is giving you a shot to do that, support in school, but it's on you to do the work and show the entire system they were wrong to overlook you in the first place. One of our trauma surgeons here at UT is Bryan Cotton; well published, nationally renowned, he's an international grad. At Trinity, we’re in the library studying too, we’re not on the beach. Do you have any advice for current or future Trinity students? First, informed consent is everything, and the more info about your school and how to plan strategically when you come back, the better. This is your career, be proactive and be ready. Second, when doing your clerkships, make sure when you’re done get contact info in case you need or want a letter, because you don’t want to have to scramble to get letters at application time. You want to pick and choose who writes you a letter, by getting names and emails, you can do that. Next, do research. Be involved. 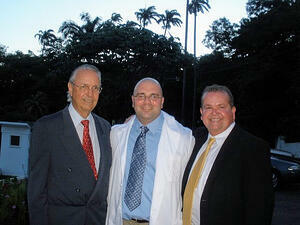 As soon as you come back to the States, try to find yourself a physician-mentor. It's a job, and like all jobs, the way into the system is by knowing people and the more you know, the better the letters, the easier your life will be. There’s nothing wrong with going to school in the Caribbean if you're covered on the above. At Trinity, the education is the same, the setting is different, you're in an environment you're not used to, but it helps you get ready for your career in a way that US schools just won't. That maturity makes you a better physician. And don’t listen to the naysayers! People on the internet will say, "Oh you’ll never get a residency, you’ll never get a spot.” Nonsense. Work hard, get the job done, you’re going to fare well not just in getting a residency but in being a doctor.